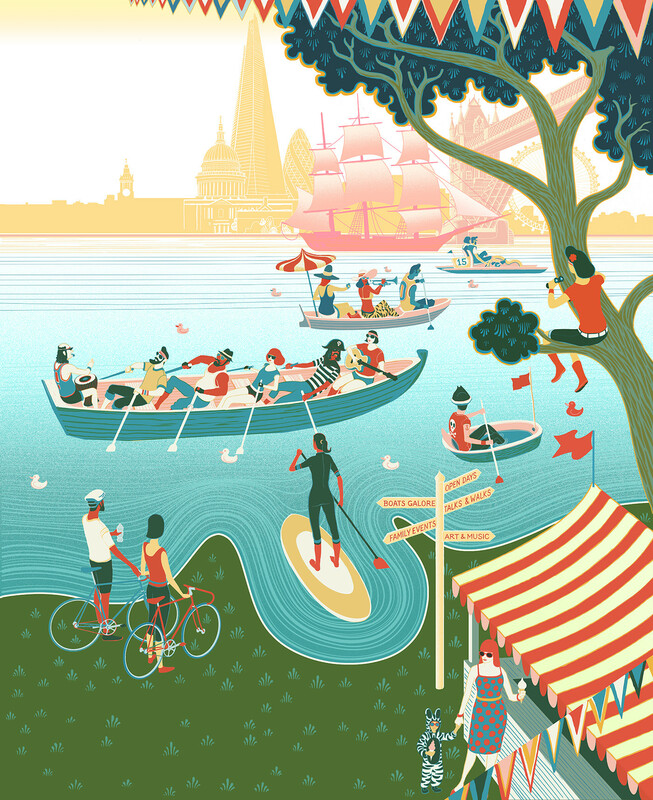 This is Illustration that was used on a poster to promote the Totally Thames Festival 2015. 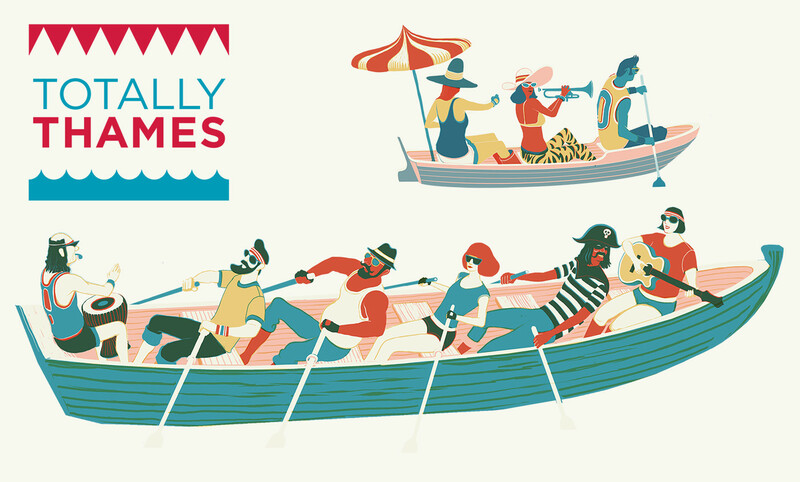 This is a poster I produced for London's Totally Thames festival. Celebrating one of the world’s most famous rivers, this month long festival has loads of arts, cultural and river events. 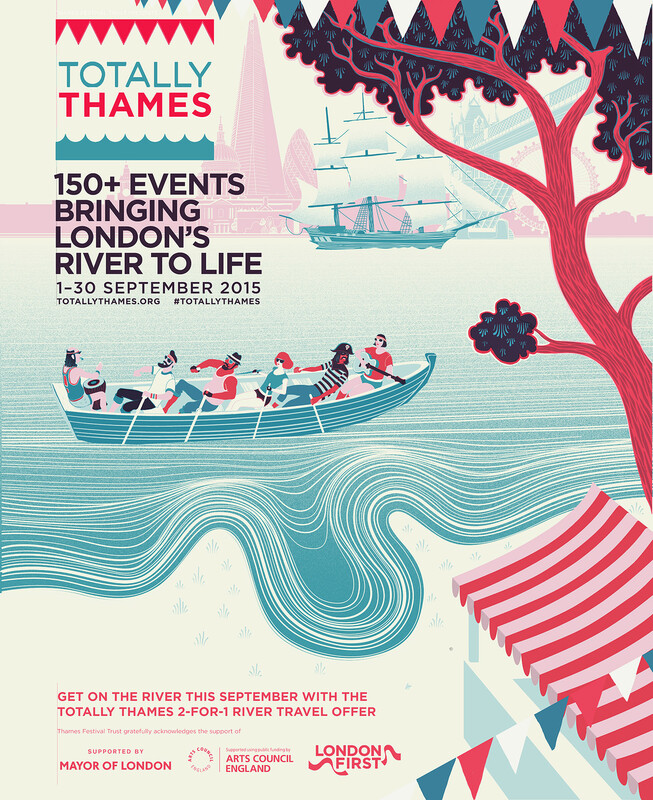 Throughout the month of September, Totally Thames takes over the iconic 42-mile stretch engaging all 17 riverfront boroughs. 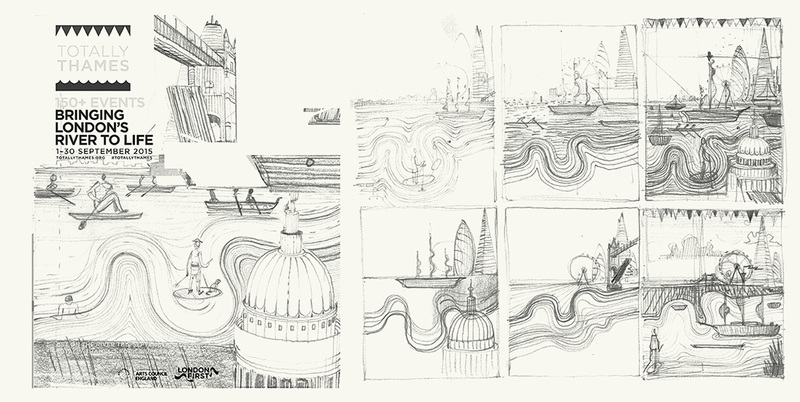 The main challenge of the brief was to include the iconic shape of the Thames in a portrait composition, and then present the viewer with various boats, activities and London landmarks. I wanted to create something with a sense of depth but with a fairly limited palette. 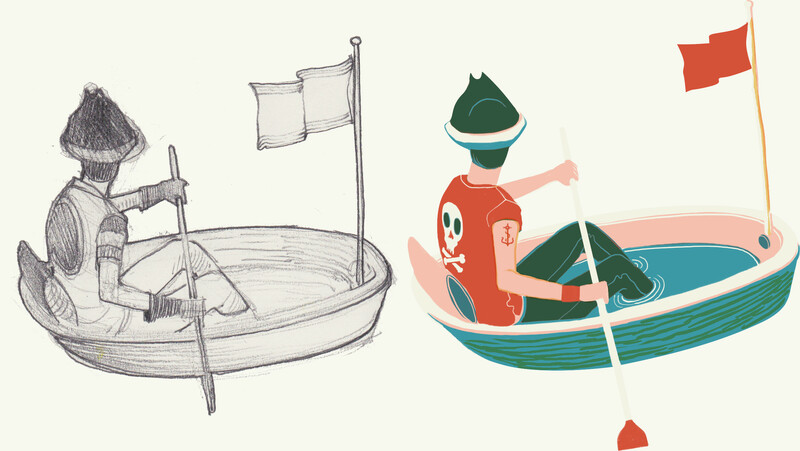 This was one of my initial directions for the colour palette. Because there was so much content to go in I wanted to keep the colours simple, this was felt a bit too cold. 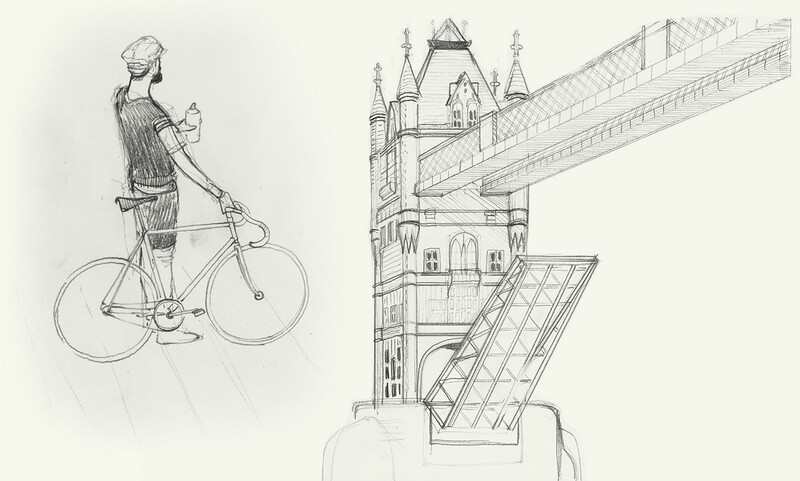 Here's some of the initial rough drawings. Altough I use a Wacom tablet most of the time I prefer roughing things out with good old fashioned pencil and paper.